Voice Coach, Priscilla Morris has an international reputation that means she provides training across the globe. This training is delivered to businessmen, school children, actors, teachers, coaches, swimming coaches, lawyers, clergymen and many other professions. Priscilla has also helped many people with accent reduction for native English & foreign professionals. 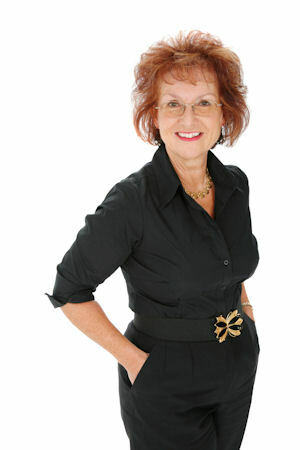 Her friendly, thorough and expert approach is founded on over 40 years’ experience. She has delivered voice coaching, training and run workshops that make a real difference. Her career history has allowed her to give many people the confidence to use their voices more effectively. On many occasions Priscilla has taken people who have a total fear of public speaking or were unable to communicate clearly and given them the skills and self-belief to use their voice effectively. Many have been able to gain promotion at work because of these new found skills, and others have been able to grow their businesses by better use of their voice. If you are looking for a Voice Coach who will deliver tangible and positive results. Contact Loud and Clear today on – 0800 083 4082.